Take a moment and consider the life changing experience RDT provides. Young people without the means to explore their talent and passion are discovered through ourTalent Identification Program (TIP). 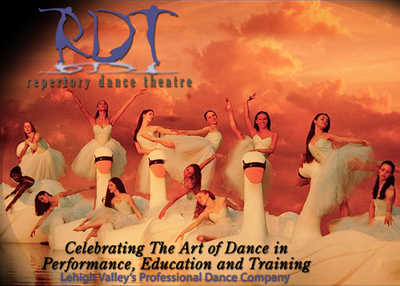 Each year RDT presents lecture/demonstrations to over 1,500 third grade students in the Allentown School Districts. During the presentation students are active participants. They are up on their feet dancing. Students who demonstrate exceptional ability and talent are offered the opportunity to audition for a place in RDT's Talent Identification Program. The TIP program is a life changing experience. Beyond dance it teaches self-discipline, builds self-esteem, and exposes students to new opportunites. Because of the generosity of people like you, TIP students receive instruction and materials to work towards their dreams. Many have gone on to receive educational scholorships and enjoy professional dance careers.